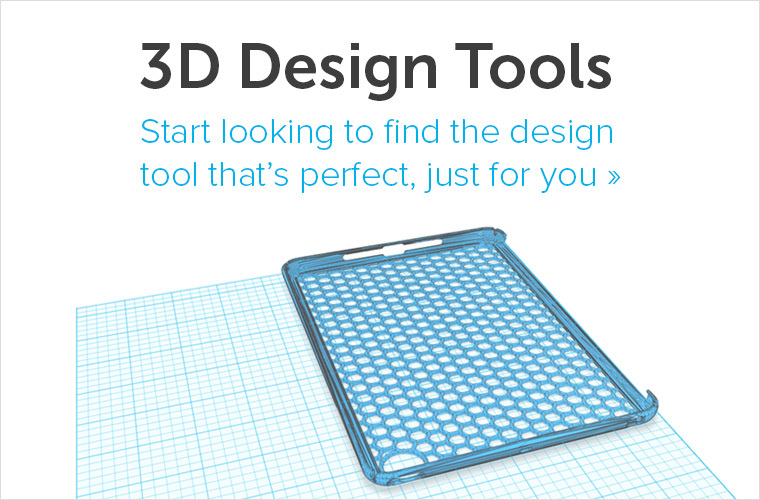 What happens when traditional cabinetmaking and cutting-edge 3D Printing techniques collide? 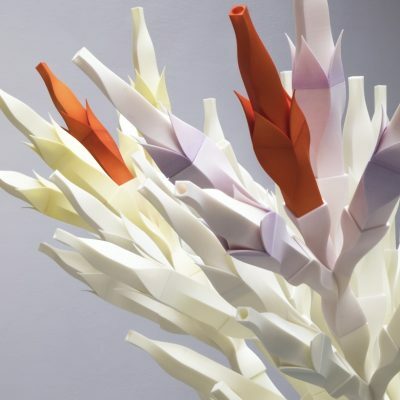 Modern furniture designer Mathias Bengtsson dares to experiment with this premise and delights us with his 3D Printed ‘Big Growth Table’ – a mix of Materialise’s technology and nature’s beauty. 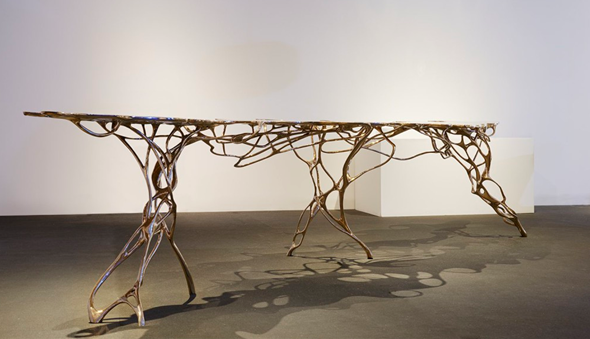 With his ‘Growth Table’ and ‘Growth Chair’ series he has created a sculptural, organic work that resembles the tangled roots of trees. 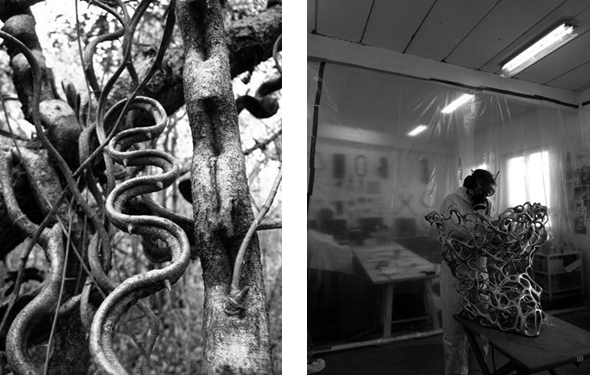 Despite being fabricated with technologically innovative practices, Bengtsson manages to keep his work surprisingly organic. 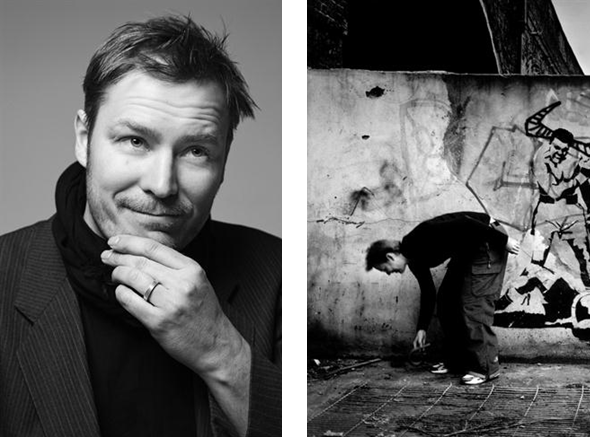 The Danish designer still abides by the traditional architectural process of sketching by hand and modeling in clay (see his process in the video below). 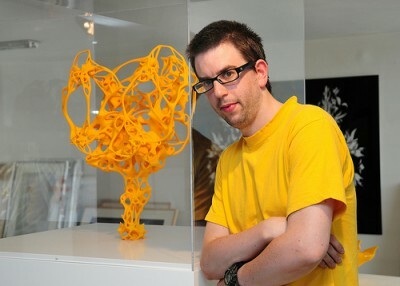 However, he then combines his ideas with sophisticated 3D Printing techniques. This combination of industrial techniques and traditional cabinetmaking is what makes his work so exciting and innovative. 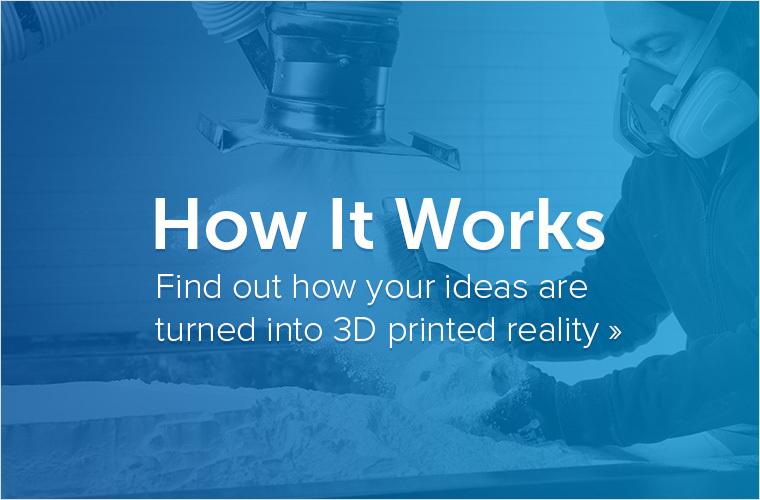 The first step in the creation of his 3D Printed ‘Big Growth Table’ was the creation of a wooden ‘Growth Table’ using traditional techniques in 2014. 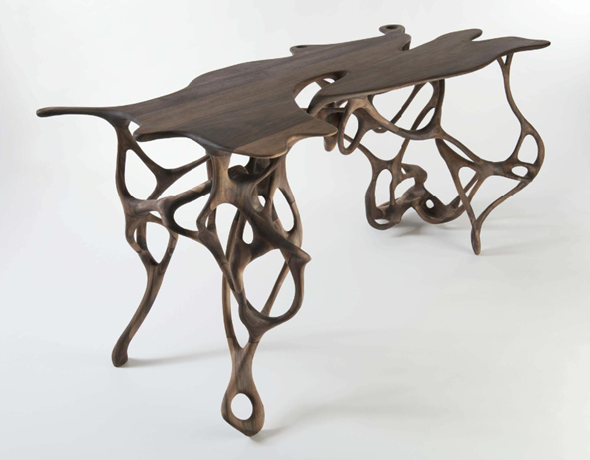 The 1.6-m-long table was assembled of several carved walnut parts. 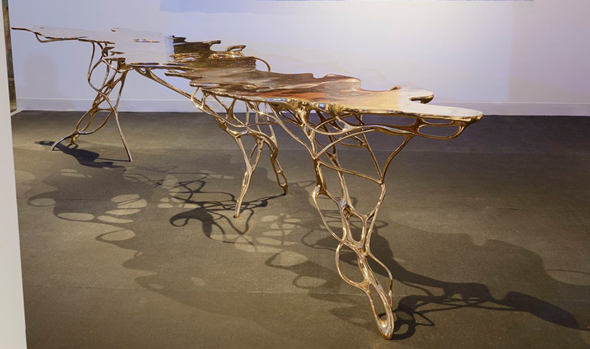 The bigger, 3D Printed brother table is an exemplary piece to showcase the blurring of the lines between the natural and the artificial as it was designed by growing a “digital seed” in a virtual world. 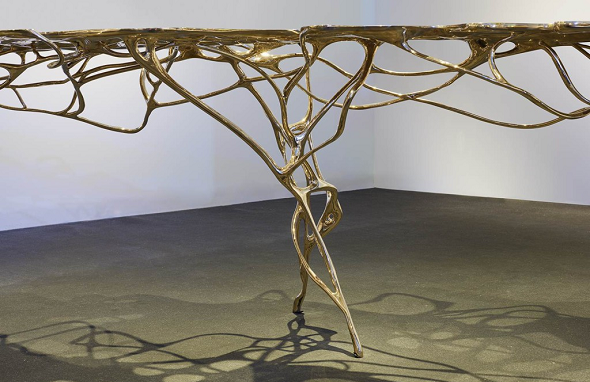 Standing 4.2-m-long in solid bronze, the table was created through a biomimicry process, in which the digital seed emulates natural growth by imitating some of nature’s rules and methods. 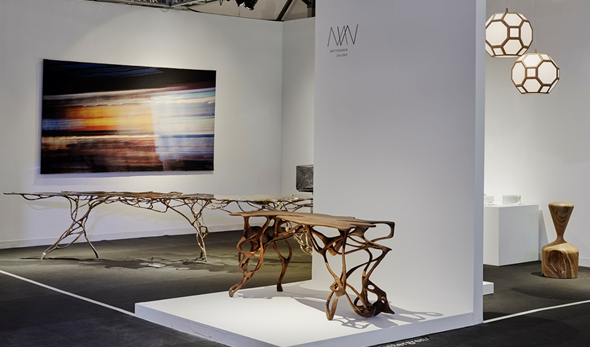 The ‘Big Growth Table’ made its public debut at the Galerie Maria Wettergren at Design Miami 2014, and was displayed next to its smaller wooden twin table. 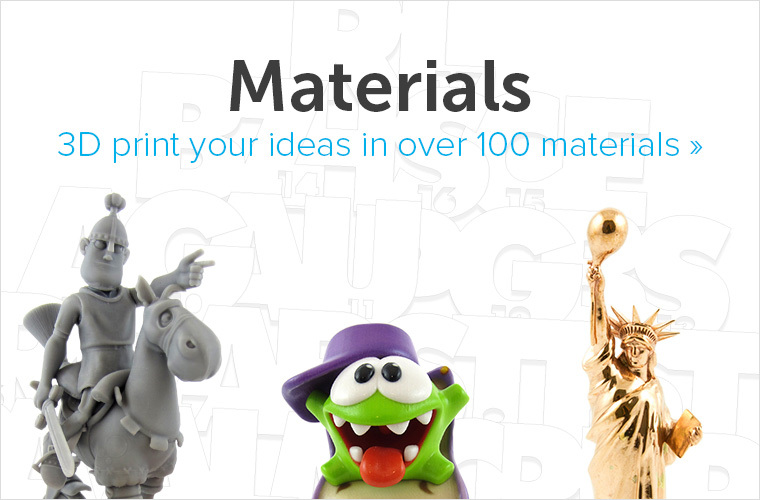 Interested in more articles about the delicate fusion of 3D printing and traditional craftsmanship? 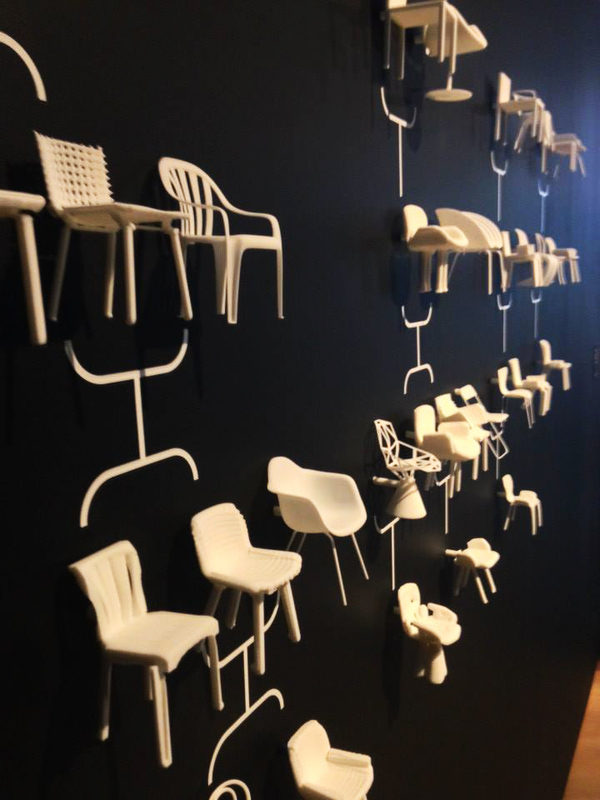 Check out our blog post about 3D printed ceramics by Alice Le Biez.